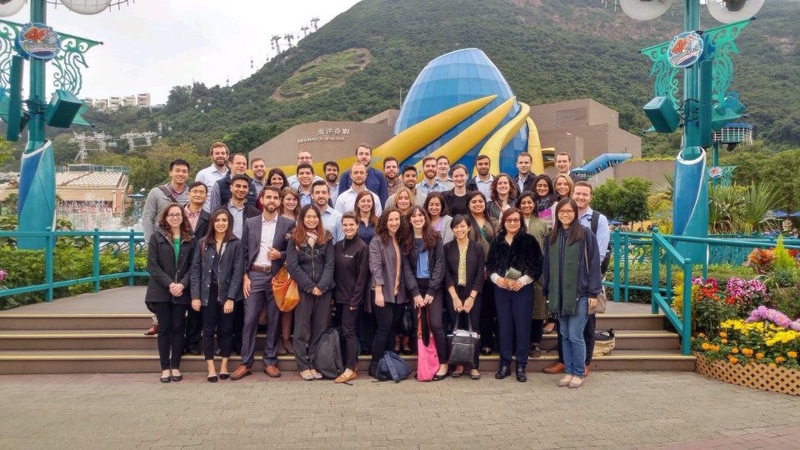 Back in January, I traveled with 35 of my classmates to Hong Kong for one of the handful of “Doing Business in…” (DBi) courses offered each semester. 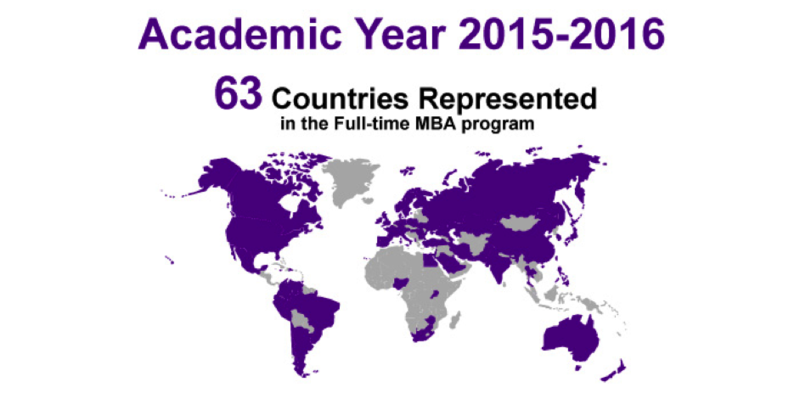 With b-school lasting only a short two years, these one- or two-week courses are the most popular way for students to take advantage of Stern’s partnerships with international institutions and to expand their learning beyond the classroom and New York City. Apart from a pre-departure meeting during the semester, the entire class takes place on location and consists of a balanced blend of classroom learning, corporate visits, and field trips to cultural sites. For my DBi, Stern partnered with the Hong Kong University of Science and Technology (HKUST), whose faculty, staff, and students welcomed us onto their campus with great hospitality. In the classroom, we learned about current social issues in China and how they have been influenced by geography, history, culture, and politics. We also examined the major opportunities and challenges that firms encounter, from the standpoints of both the foreign multinational companies, who tend to underestimate the costs of doing business in China, and the local Chinese companies, who are rising to compete against these corporate giants in the global market. We were able to witness these successes and challenges in action at the companies we visited, which were chosen due to their relation to Hong Kong’s significant travel and tourism industry. My personal favorite was a trip to the MTR, the private Hong Kong-based corporation that runs the highly efficient mass transit railway system in Hong Kong and—as we learned during our visit—in other parts of the world as well. In addition to a quick tour of the control room at Kowloon Bay Station (where the MTR’s headquarters are located), we had the opportunity to hear directly from the Head of Operations, the Strategy and Planning Manager, and the Head of Town Planning about the MTR’s impressive operational achievements, profitable business models, and goals and aspirations moving forward and beyond Hong Kong. The executives also discussed the difficulties they are encountering as they grow their operations, such as meeting customer demands, fighting market competition, and navigating the complications and regulatory webs of foreign places and their governments. In addition, a visit to Hong Kong’s flag carrier airline Cathay Pacific exposed us to the company’s approach to addressing shifts in consumer behaviors and fighting off increased competition in a highly regulated industry. Moreover, on the tour of Cathay’s headquarters, led by the airline’s lovely flight managers, we had the opportunity to witness Cathay’s pre-flight crew procedures, sit in one of the pilot seats of a flight simulator, and lay back in the six pods that comprise the exclusive first class cabins of Cathay’s transoceanic planes (or in this case, a replica of one that is used for training). Later in the week, a visit to Ocean Park granted us insights into how the beloved amusement park managed to leverage its local understanding of its customers to differentiate itself from Disneyland and fend off the foreign goliath’s arrival. We were then set free into the park, where we observed various animals, raised our adrenaline on the array of rides, and took in aerial views of the park from the park’s signature cable cars, which also affords views of the South China Sea. The future business leaders of tomorrow pose for a photo before running off to the panda exhibit. As if the corporate visits were not enlightening enough in themselves, so we could experience aspects of the local culture first-hand, Stern also arranged plenty of Cantonese-style meals and class trips to the Hong Kong Jockey Club and Po Lin Monastery (where the Big Buddha statue sits). Additionally, we had time on the weekend to explore on our own, giving us the chance to create even more memories with one another. For example, I’ll personally never forget that a group of us hiked up [the very steep] Victoria Peak one day to take in the breathtaking views we were promised only to encounter the whims of the weather and smog instead. 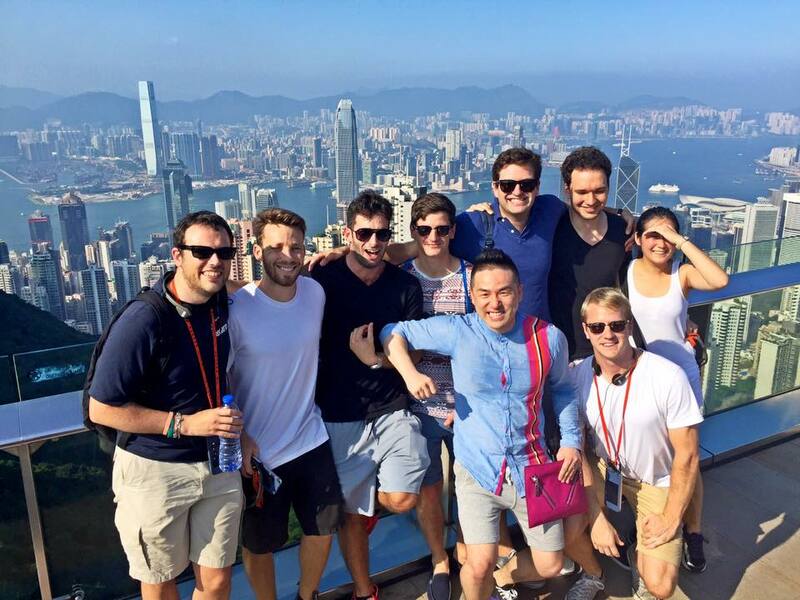 There’s a gorgeous view of Hong Kong behind us somewhere. Indeed, in addition to the satisfaction of visiting Asia for the first time and getting to do something that I wrote about wanting to do in my admissions essay, I feel very fortunate to have been able to learn so much through these unique experiences and to be able to share them with such wonderful classmates. 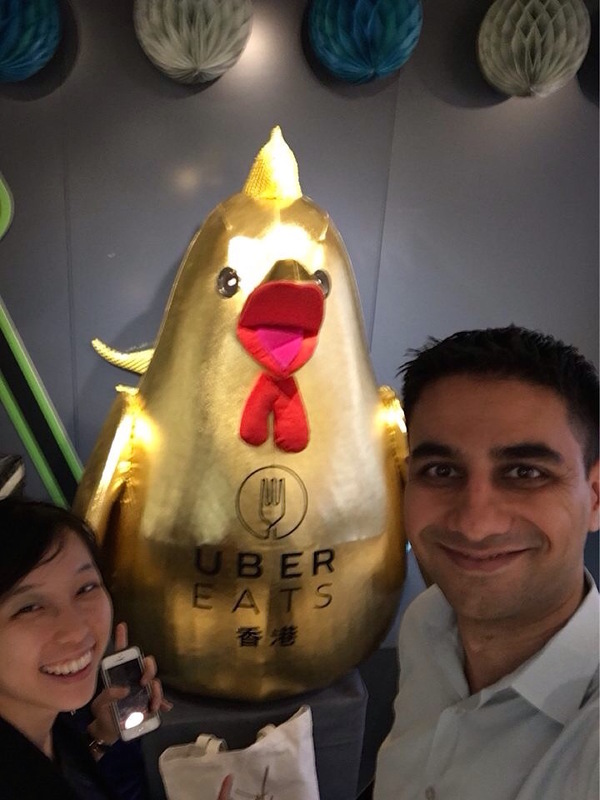 Whether we were touring a corporate headquarters or searching the streets for pork buns, I don’t think any of it would have been as exciting and memorable if my fellow Sternies were not by my side. After a 7-week winter break, it feels so good to be back in NYC, to be back at Stern finishing my final semester of business school (!!!?). I’ve spent the past couple of weeks getting back into the grind, and of course catching up with my amazing classmates, some who I haven’t seen in over half a year! For those of you that don’t know, one of the many reasons I love Stern is just the incredible amount of opportunities it provides its students to work, study, and travel abroad. Whether it be through our short-term Stern Signature Projects (SSP) and Doing Business In…(DBi) programs, or our longer-term semester and half semester exchange programs, there are just a wealth of programs offered abroad. Every year, a good number of students decide to spend a full semester abroad, and here I’d like to introduce you to two of them. Kimberly (Kimi) Rodriguez and Caspar Di Sun are both second year MBA students with me who spent their last semester as an exchange student at London Business School (LBS) and Hong Kong University of Science and Technology (HKUST) respectively. V: Hi Guys! It’s so nice to have both of you back at Stern! Did you enjoy your time abroad? K: Yes of course! London was amazing. I mean I love New York, it will always be exciting, but there’s just a completely different feel about London. It’s slightly slower than hectic NYC for one, and it is a bit more international- LBS itself has a 92% international student body! C: Being originally from China, there’s just no place like home. I also have plans to move back to Hong Kong post-graduation, so it was great to be there, learn the city and create a network while still at school. V: Can I ask what in particular made you decide to study abroad? And why you chose where you did in particular? 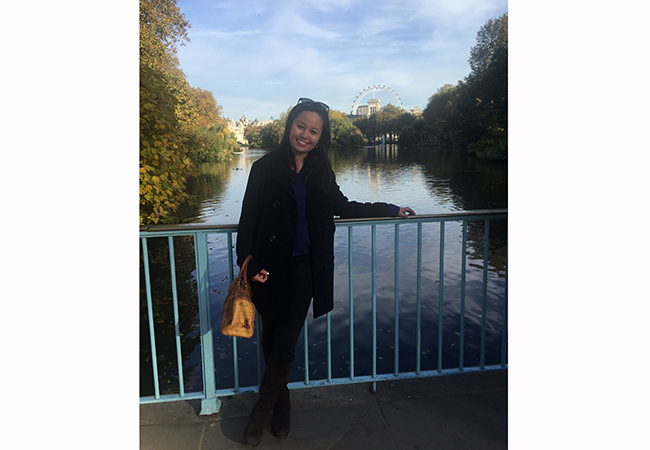 C: I believe studying abroad enriches and enhances my overall MBA education. Hong Kong is a gateway to doing business in China and China is not just a buzzword in today’s globalized economy but also a true battlefield in today’s business competition. HKUST is a world-renowned education institute. Hong Kong is one of the busiest metropolitan cities in the world. Hence, it was not a hard decision when I factoring those reasons together. K: I am an international student, and one of the main reasons I came to Stern was that I have family and friends in New York. However, I came knowing that I also wanted try going somewhere that would force me out of my comfort zone, where I would be living somewhere completely new and get to meet an entirely new set of people. Furthermore, I understand the importance of planting seeds in different countries, of expanding my network geographically. V: What would you say was your favorite thing about being abroad? C: Terrific friends I made from the world MBA community. V: Would you ever go back to London/Hong Kong to visit or live? C: I’m definitely moving to Hong Kong after graduation. And since I will be living in there, I would like to be the “friendly ghost” in Hong Kong for any Sternies on the exchange program in Hong Kong and will try be as helpful as I can when you need. K: No plans at the moment, but definitely would be up to go back and visit! K: If you plan on recruiting in New York full-time in your second year, make sure that you understand the risks and opportunity costs of spending 25% of your MBA in another country. Ultimately though, I believe it was more than worth it. And that’s it! Hope everyone enjoyed having these two amazing friends of mine drop-in as much as I did. Till next time! Hey everyone! I am going to pull a big blogger faux pas so please don’t hate me. I am consolidating some of my most memorable social and cultural experiences (thus far) from second semester into one post. How easy! How efficient! How “b-school” of me! – Think Social Drink Local: A student fashion show organized by Stern’s Luxury & Retail Club and Social Enterprise Association. 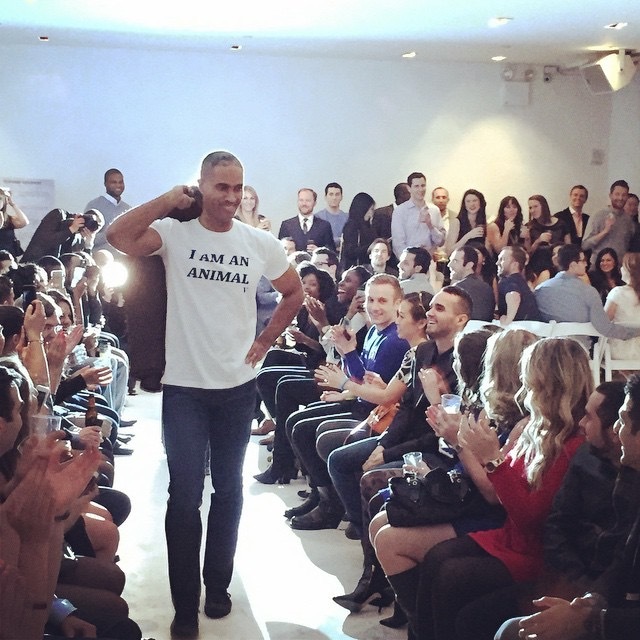 All of the proceeds go to the Stern Social Impact Internship Fund. The fund is a stipend that supports full-time first year MBA students going into summer internships for non-profit organizations who don’t always have the budget to pay their interns. It was a great excuse to get dressed up with my fellow Sternies and see some of our classmates (and our Dean!) walk the runway. 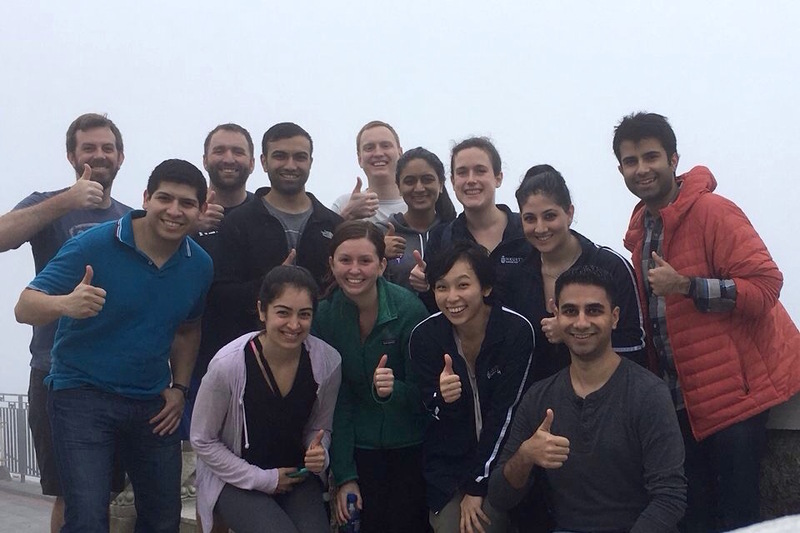 – Spring Break, India Trek: With our trusty South Asian Business Society trek leaders at the helm (thanks Sameer and Abhay! 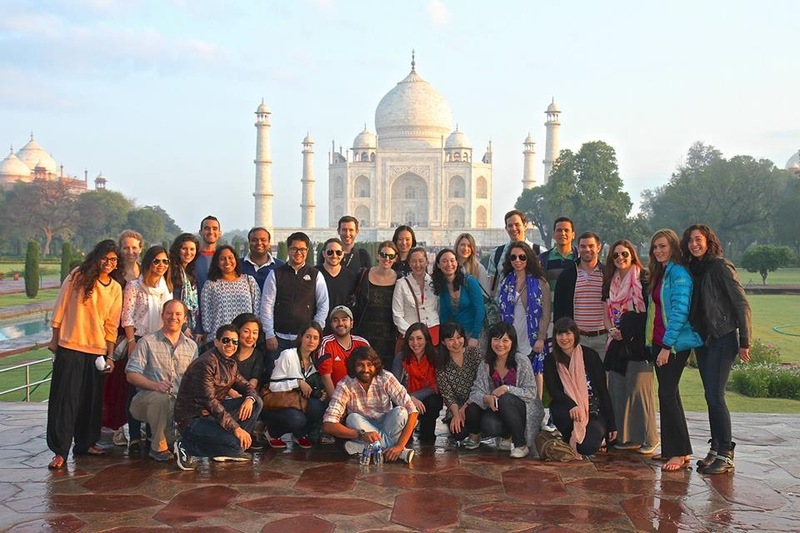 ), I and 30 other classmates traveled to India this March to explore five cities in 10 days. We visited the cities of Delhi, Jaipur, Agra, Goa, and Mumbai. The country was just as beautiful as I imagined and the food was even better. We had our fair share of cultural sightseeing (had to get that perfect Taj Mahal Instagram shot), local marketplace shopping, and even got to squeeze in some relaxing beach time. I miss the naan! 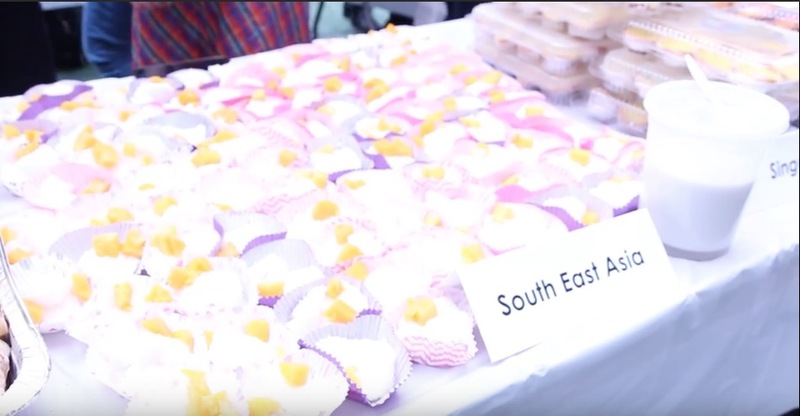 – Passport Day: The Stern Student Government organizes this annual even as a way for the student body to share their country’s diverse background and heritage through serving local cuisines, music, and dance. The girls and guys who performed in the India dance routine stayed up till 11pm practicing one night! 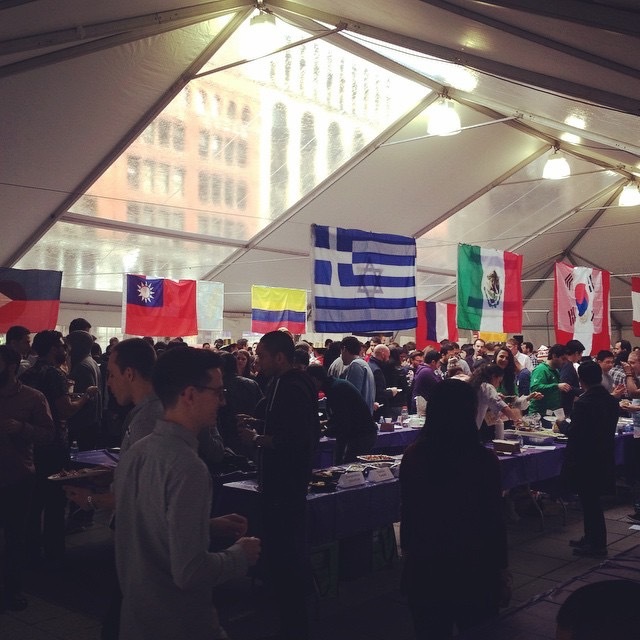 It was an impressive event and reminded me of why I love being at Stern, a place that is brimming with culture and collaboration. I cannot believe we only have 5 weeks left in the school year! Where has the time gone? Stay tuned for some exciting updates in my next post!